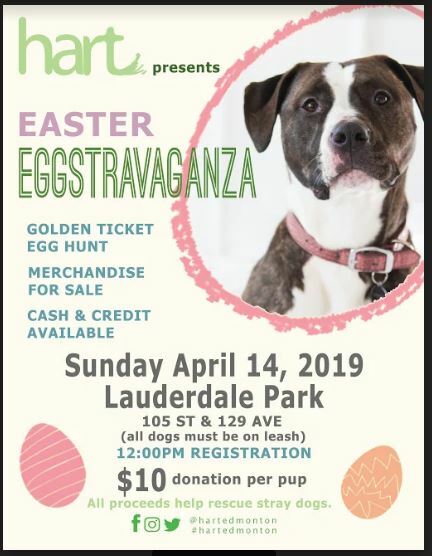 This is a fun family event, where you and your doggies can search for Easter Eggs! Cost to participate is $10 per dog, and 100% of the proceeds help rescue stray dogs. There's a GOLDEN Ticket Egg Hunt, and hart merchandise for sale too! Hurry Harrrddd and register for our new event coming up in Feburary! Curling for Canines is a Funspiel for curlers of any level! 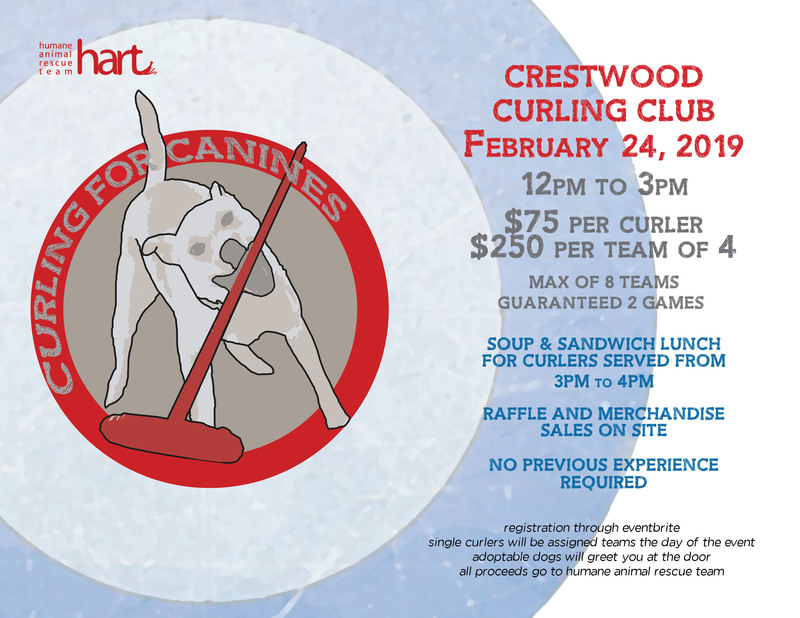 Your registration fee will cover a light lunch and any curling equipment needs. There will be prizes available, and a raffle! There is limited space for this event, so please register today! When you arrive at the venue, some adoptable dogs will greet you, and inside you will be able to purchase hart merchandise. 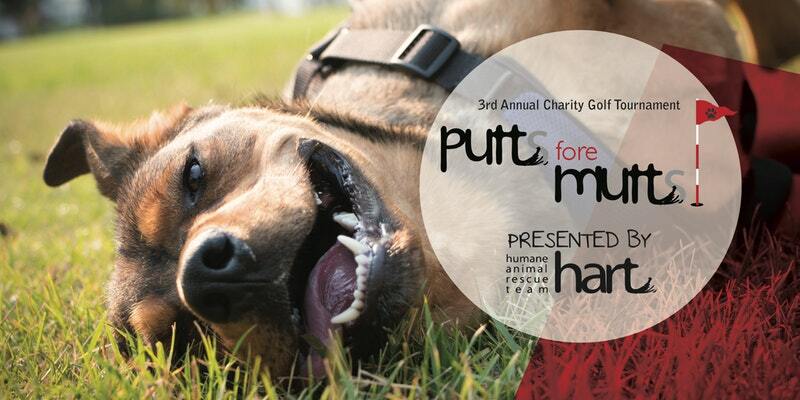 All proceeds from the event return to hart rescue dogs, so we can continue to give them a new leash on life. 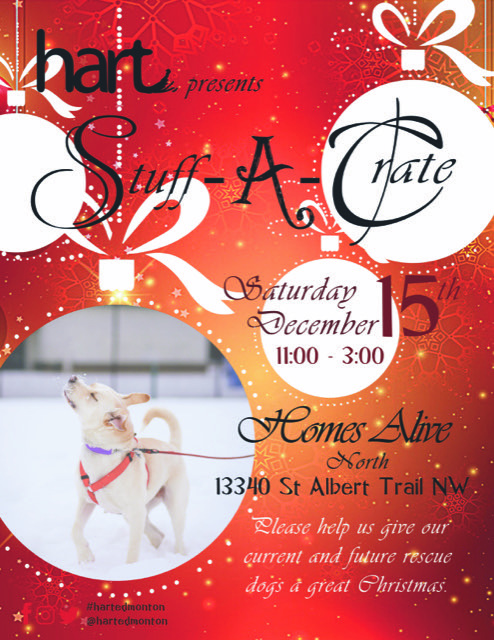 Come on down to Homes Alive North (13340 St. Albert Trail) to help us fill the BIGGEST crate we can to support our rescue dogs this winter! 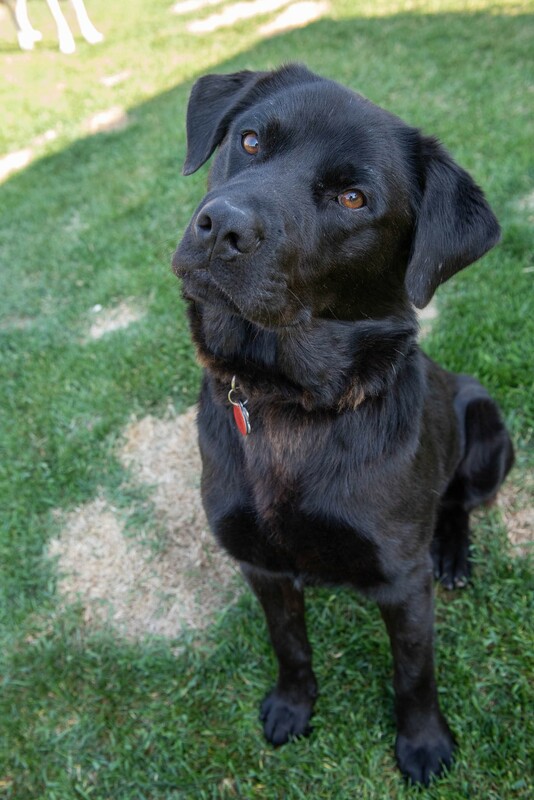 We are in need of hard chews, toys, KONGS, bully sticks, beds, leashes, harnesses and treats! Homes Alive offers 15% off to all items purchased that are donated to hart as well! How PAWsome is that?! You will also be able to purchase our 2019 hart calendars, greeting cards and our Haiku Books (which are perfect Christmas gifts). We take cash, credit and debit. And we saved the best for last...we will have ADOPTABLE DOGS available for you to meet, greet, smooch and cuddle! Come join us for a day of fun with your family. This event will get you in the howliday spirit! This year, you will have a choice of Tattoo Santa and Hawaiian Santa! Spots fill up fast, so email info@humaneanimalrescueteam.ca to book today! Adoption Day at Homes Alive South! Come on down to Homes Alive South to meet some ADOPTABLES! We will be there from 11 am to 3 pm and we cannot wait to see you! Come join us for our fun filled evening full of AMAZING silent auction items, hart merchandise, adoptable dogs and our emcee/DJ extraordinaire Ryan Holtz! This 18+ event is always so much fun and for a great cause! 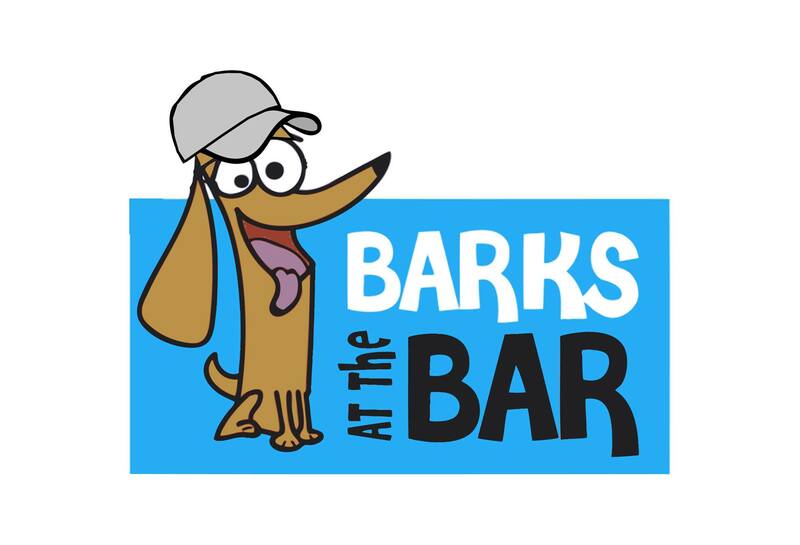 100% of the entire evenings proceeds go directly to hart to help us continue our mission to rescue, rehabilitate and rehome abandoned and stray dogs. Snacks included with ticket price (cash bar). Get them here! Who: You and all of your 2, 3 or 4 legged family and friends! What: Spectacular run or walk with or without your puppy pals. 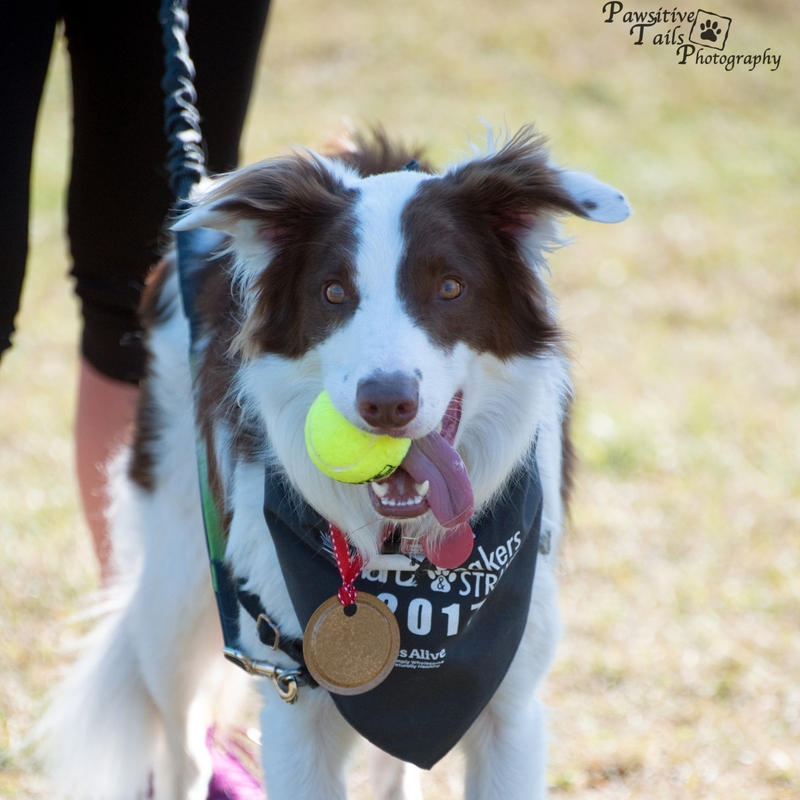 Your pooch will receive a bandanna and finisher medal by registering them! Come down to Giant Tiger located at 14097 Victoria Trail NW! 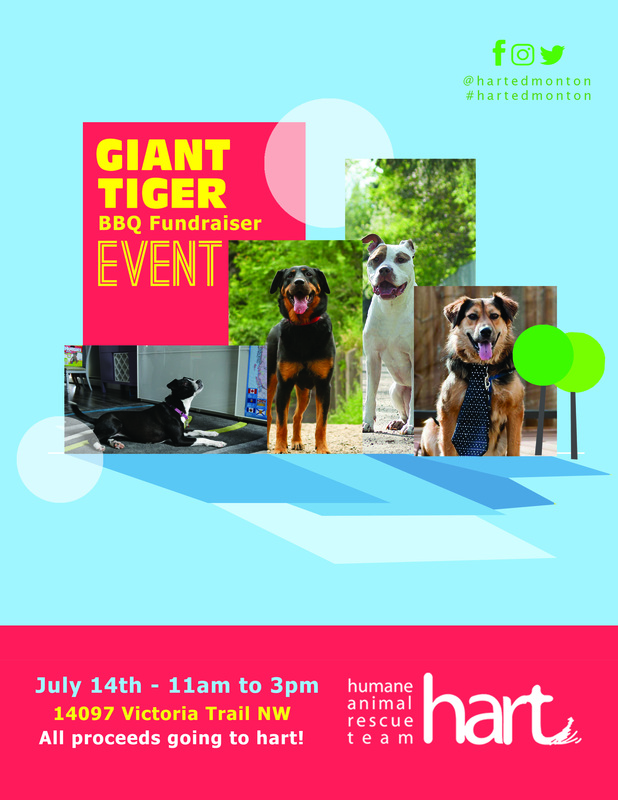 There will be a BBQ with 100% of proceeds coming to hart! There will be food and doggos! What else do you need?? Please join us for our 3rd Annual Charity Golf Tournament! The tournament is a Texas Scramble format with Registration at 1:00pm and Tee off at 2:00pm. Early Bird Pricing until June 1, 2018! $140 per player! hart at Homes Alive North! Come on down to Homes Alive Pets North on Saturday to meet some hart ambassadogs and to learn how you can help! 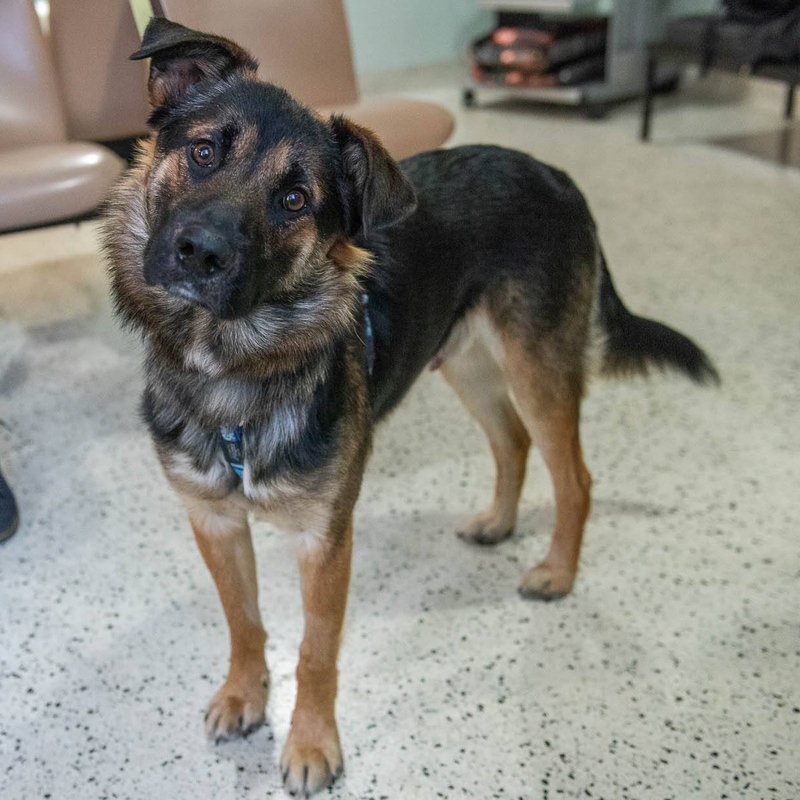 hart is STILL looking for foster homes so that we can save more doggos! Can you help? We will be there to answer questions about our organization and how we keep saving the dogs that we do.